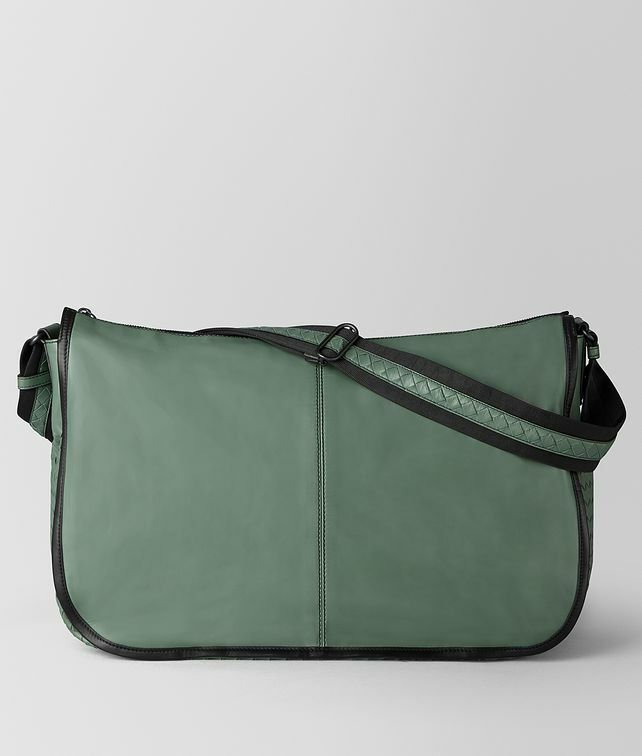 This messenger bag, introduced in the Cruise 2019 presentation, is crafted in incredibly soft and lightweight leggero calf leather. Designed with intrecciato side panels, the bag has a rounded shape that moulds comfortably to the body. The adjustable shoulder strap is made with black nylon accented by woven leather. The main compartment is lined in cotton and fitted with a zipped pocket and a space for a smartphone. Width: 46.5 cm | 18.3"